Here is the Chapter 5 illustration for the Notable Missourian book on Great Walker (Truman State University Press). The raid on Big Neck's village resulted in the deaths of three Ioway and three militiamen. Big Neck and his band thought the village they were defending was located on ancestral land outside of the state of Missouri (and therefore not in violation of the treaty). In fact they were about 20 miles inside of Missouri. 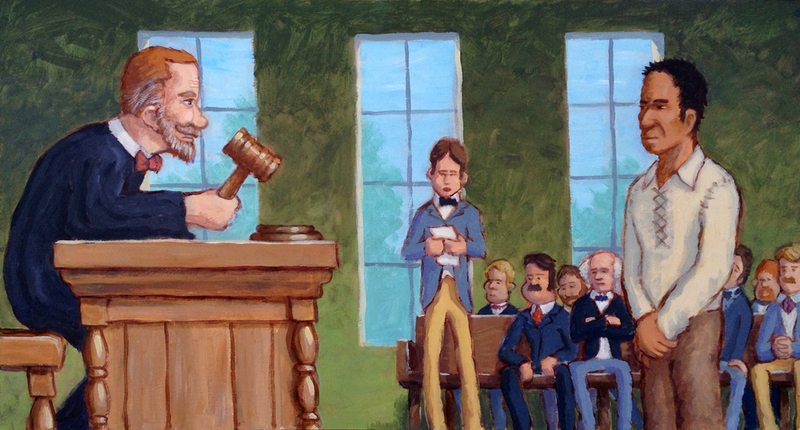 Big neck was brought to trial and quickly acquitted by a jury that believed it was an honest mistake.